When my Grandpa was alive he took great pride each Christmas in sourcing a nice smoked Scottish salmon and each year would tell us, in some depth, why this was not the same thing as a Scottish smoked salmon. It’s been fifteen years since his last smoked salmon monologue and I hope he would be pleased that we’ve kept his traditional salmon starter each Christmas. Instead of smoked salmon though I cure a salmon. It’s cheaper than buying smoked and is ideal at Christmas as it takes ten minutes to prepare and then you can just forget about it in the fridge until you serve it. I originally got this recipe from a Donna Hay Christmas magazine that came free with Living Etc. five or six years ago and due to my family’s hankering have made it each year since. Five of the twelve family members joining us for Christmas dinner on Sunday have made a point of double checking with me in advance that it will be served again this year. Cover a dish or tray with enough clingfilm to wrap the salmon in, I recommend using one with sides as it can get quite juicy. 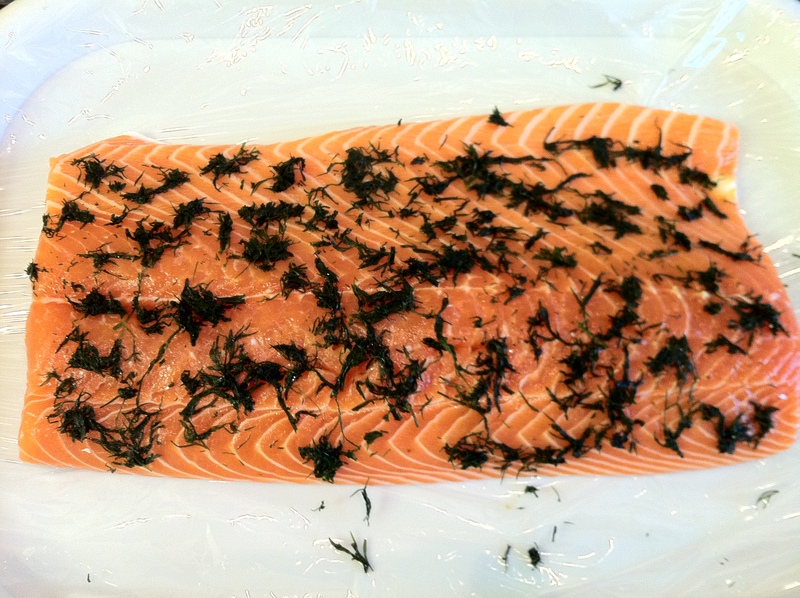 Lay the salmon in the centre and rub the chopped dill into the flesh. 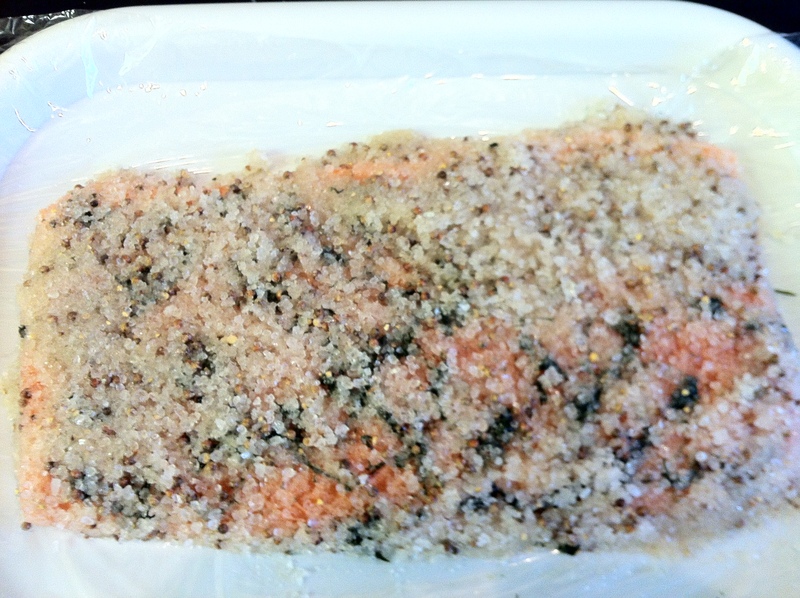 In a food processor (or large pestle and mortar if you’re in need of some stress relief) combine the rest of the ingredients and then pack the mixture around the salmon, making sure all the flesh is covered. 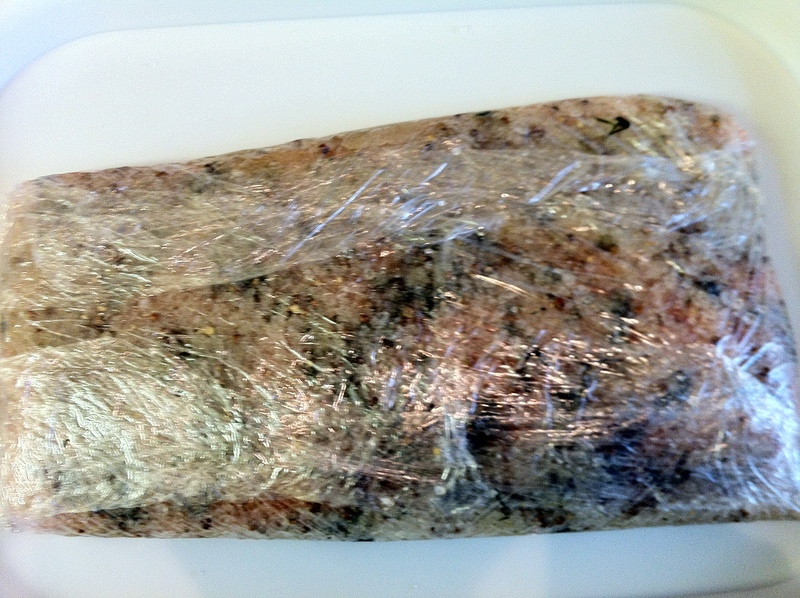 Wrap the salmon as tightly as you can in the clingfilm, using another layer for security. 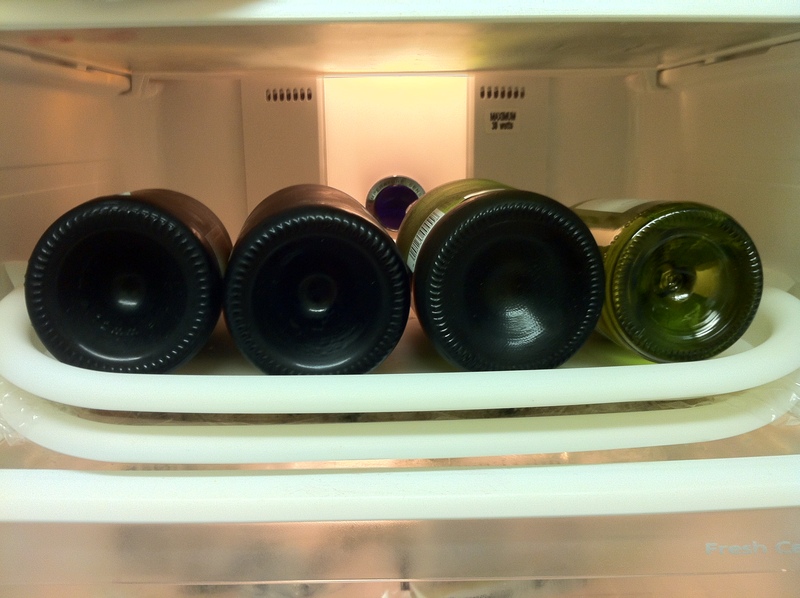 Place in the fridge for at least 24 hours with a tray on top and something heavy on top of that to compress it (the turkey is good or wine bottles). When you’re ready to serve remove the salt and finely slice the salmon. I normally have this with rye bread, horseradish mayonnaise and the obligatory lemon quarters.